Ok... time for me to climb back up on my soapbox for a new rant. 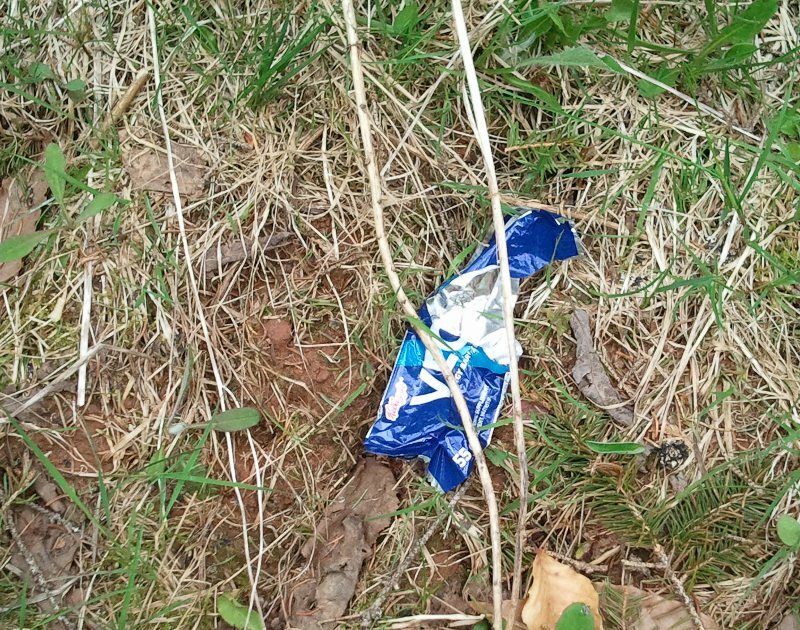 Today I'm going off about riders who leave their energy bar and gel wrappers on the trails when riding. Why would you do such a thing? 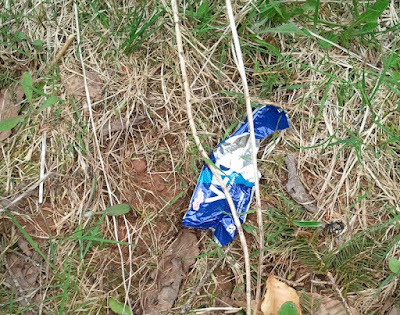 You obviously had some place to store the food on the way into the trail, how hard is it to stick the wrapper back into that same spot? A great part of cycling, especially mountain biking is to get out into the woods and appreciate nature. Then you go and drop a bar wrapper on the ground like it's your own private waste bin. Every time I ride, I come home with more trash than I brought in because I pick up this crap. I can only assume I'm not the only one who does this, which means there are wayyyyyyy too many people who think this is acceptable behavior. Would it be acceptable if I dumped by garbage in your yard on my way to work some morning? So please....STOP TREATING MY TRAIL AS YOUR GARBAGE DUMP!